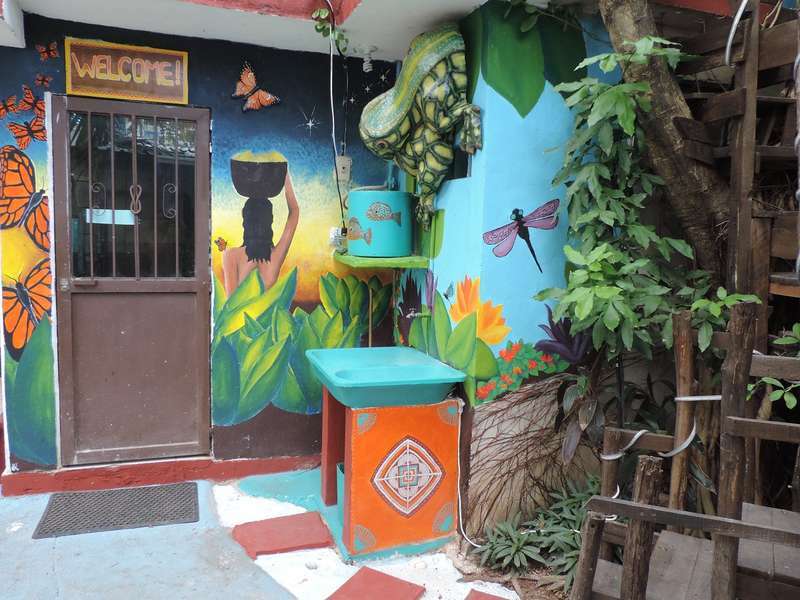 We are a boutique hostel catering to the people that enjoy the hostel experience but don´t want to be in a crazy party environment all the time. We are an accommodating, relaxing, cozy place that will make you feel right at home. 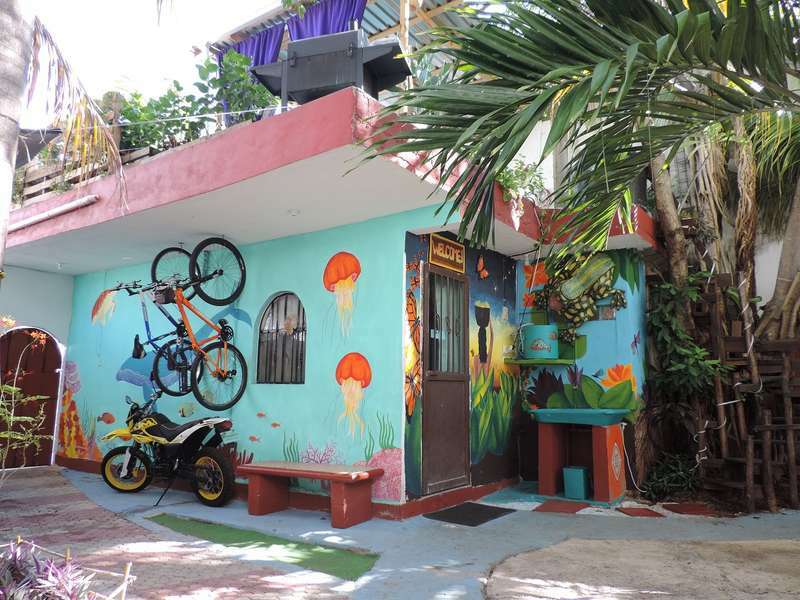 Enjoy our colorful world here in our property from our wall murals to our rooftop garden. Relax in one of our many hammocks around our property, watch a movie on our rooftop cinema as you BBQ up your favorite meats or veggies. 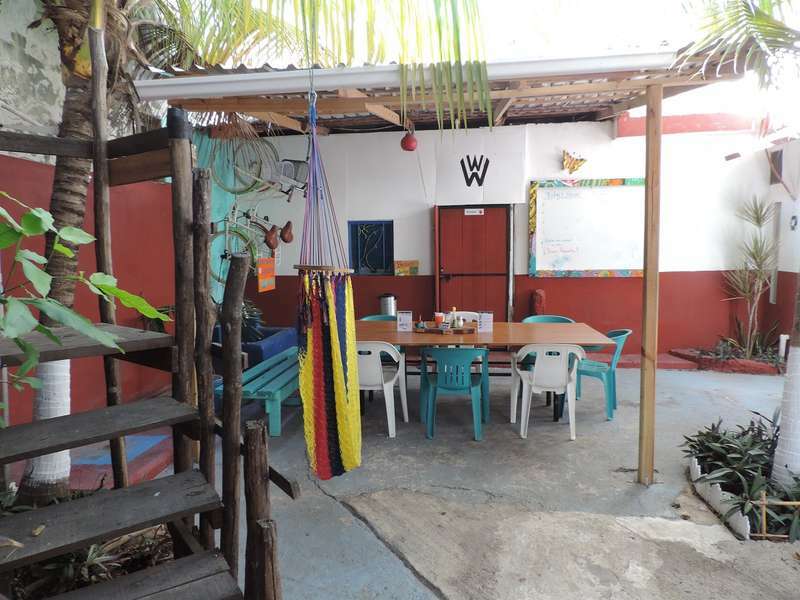 It´s up to you how you want to enjoy your stay here at Hostel Wonderous World. You can see the turquoise waters of the Caribbean from our street corner so a quick walk to the beach and also a quick walk to nearly everything you will need during your stay with us. 24 hour convenience store, neighborhood market, internet cafe, laundry service, fruit & veggie market, and many cheap taco stands and restaurants just around the corner. We are new to town but are a step ahead of our competition with our comfortable beds, restaurant style breakfasts, & great atmosphere. Come check us out and find out for yourself! Hope to see you soon, Cheers! You must cancel at least 24 hours before your reservation or your card will be charged for one full day of the reservation even if you show up late without notice. Please let us know if you are having travel problems and will be showing up late or the following day and we will work with you to accommodate but no notice and you will be charged.